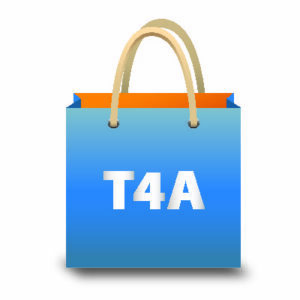 T4A is launching an iPad app on 27 March 2015 which is a complete traveller’s guide. It has the look of a paper map combined with loads of important traveller information. In our previous article we elaborated on the map and in this article we want to share our approach to content as well as the level of information detail. Tracks4Africa maps and travel content are widely regarded as amongst the best sources of information for self-drive travellers in Africa. We have GPS maps for your Garmin and iPad as well as paper maps and guide books. 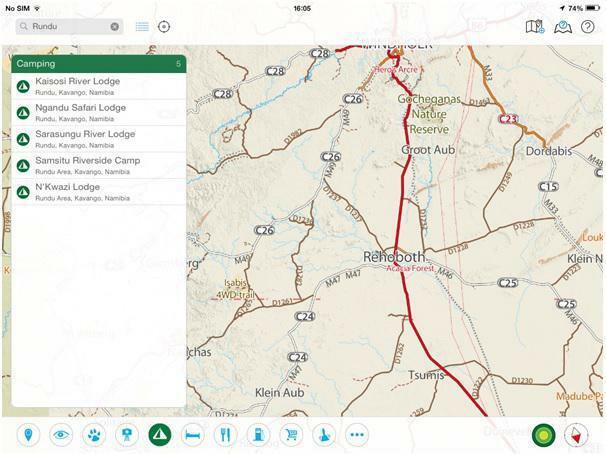 Now our new guide app brings you a unique combination of great cartography and rich information content on an iPad. This is a brand new product, complementing but in no way replacing any of our other products. Being a digital guide with a great map, it slots in somewhere between your GPS, a paper map and a guide book, showing your location as you drive. The cartography is designed to bring you the wealth of information we have in our database in an easy to use map experience. Read more about the map feaures on our blog. 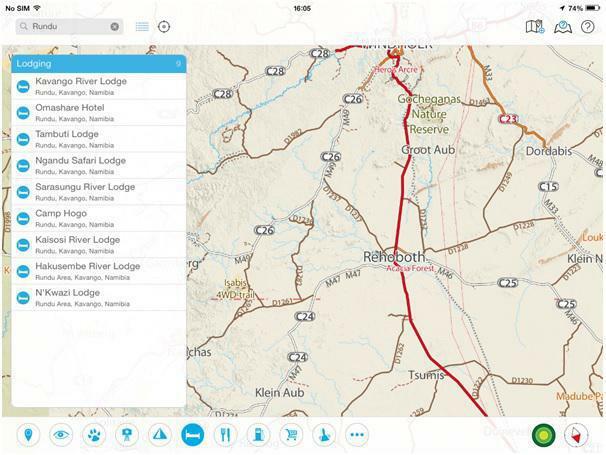 We have thousands of points of interest (POIs) on our maps which covers anything from waterholes to fuel stops. Our camping database is the most comprehensive available for Africa and we feature accomodation options which range from entry level self-catering to luxury lodges. More (miscellaneous points of interest). The guide information is linked to a location on the map. A pin will display the point of interest on the map and your own GPS location is shown simultaneously so that you can orientate yourself in relation to these points of interest. The app will display a map of the country or region and allow you to choose which of the point of interest categories you want to display on the map. You can also search for specific places by name. The search functionality is linked to the guide categories. For example, if you need to find a campsite, simply switch on the Camps category. 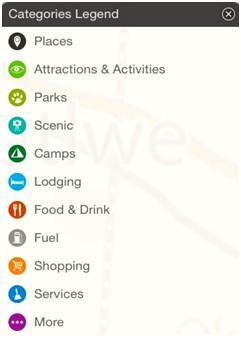 Immediately all campsites around you will display on the map and you can click on them for more information. Otherwise, if you know the name of a campsite, enter it into the search block and the relevant results will be filtered. Let’s say you are planning a trip and want to know which campsites are available in Rundu. 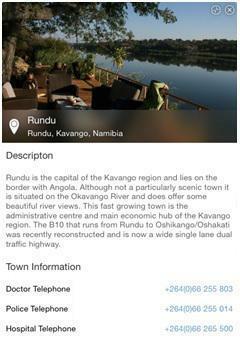 Simply type “Rundu” in the search filter and select the Camping category. Only campsites in and around Rundu will reflect in the results. If you don’t find a campsite to your liking and prefer to sleep in a bed, simply deselect Camping and select the Lodging category. The search results will update to show Lodging in and around Rundu. Even if your current location in nowhere near Rundu, the search filter will still find lodging around Rundu because that is the name you entered in the search facility. 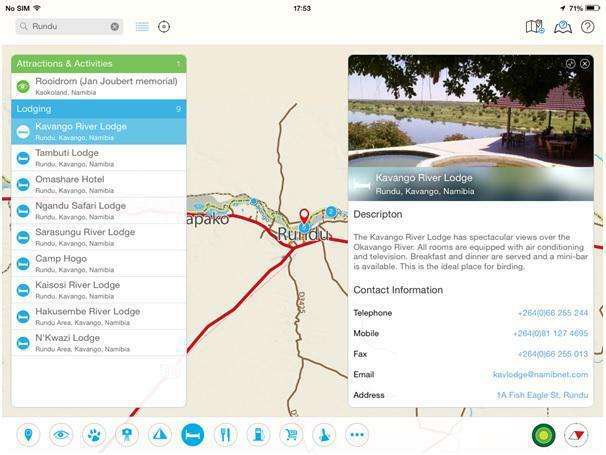 If you select one of the lodging results, the map will center on Rundu and open up the detailed information window regarding the specific lodging point of interest. Now you may wonder if Rundu has fuel or a place to refill your gas cylinder. For each destination there is a summary of facilities offered. When you search for Rundu under the Places category a detail page with a description, facilities on offer and any important contact numbers will show up. The app comes as a free download from the iTunes store. The free app contains samples of the map and guide information and if you like what you see, you can go to in-app purchases and buy the full app functionality of the country of your choice. The first release of the app will offer Namibia and Botswana but more countries will become available soon. 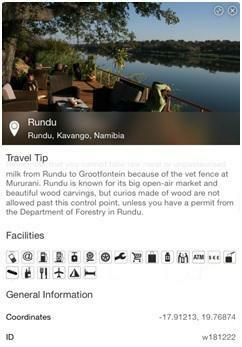 The information in the Namibia and Botswana guides on the app originates from the popular Self-drive Guides that were published in book form. Namibia contains a total of 9 759 points of interest and Botswana 3 524 points of interest. 947 Places – cities, towns, villages. Places of traveller interest have detailed descriptions and information. 1 939 Attractions & Activities – various attractions and activities. 155 Parks – protected areas such as national parks and game reserves with descriptions. 45 Scenic POIs – mountain passes and other scenic drives. 412 Camps – the most comprehensive camping guide for Namibia. 787 Lodging POIs – places to stay varying from upmarket lodges to entry level B&B’s. 491 Food & Drink POIs – places to eat or drink. 230 Fuel POIs – places to fill up. 467 Shops – various places that are relevant to self-drive travellers. 1 024 Services POIs – a wide range of services relevant to self-drive travelLers. 3 262 More POIs – a wide range of minor places of interest which may assist with orientation. 544 Places – cities, towns, villages. Places of traveller interest have detailed descriptions and information. 575 Attractions & Activities – various attractions and activities. 107 Parks – protected areas such as national parks and game reserves with descriptions. 240 Camps – the most comprehensive camping guide for Botswana. 240 Lodging POIs – places to stay varying from upmarket lodges to entry level B&B’s. 134 Food & Drink POIs – places to eat or drink. 165 Fuel POIs – places to fuel up. 215 Shops – various places to shop, relevant to self-drive travellers. 396 Services POIs – a wide range of services relevant to self-drive travellers. 908 More POIs – a wide range of minor places of interest which may assist with orientation. when will the south african map come vialable? Wouter, the map coverage is now available for all of Africa!